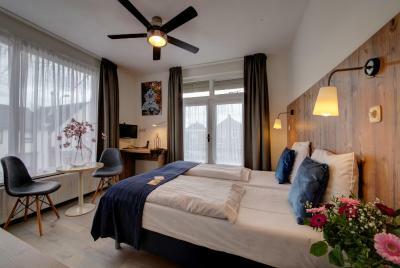 Lock in a great price for Hotel De Kroon – rated 8.5 by recent guests! Staff were great. Accommodation was fantastic. 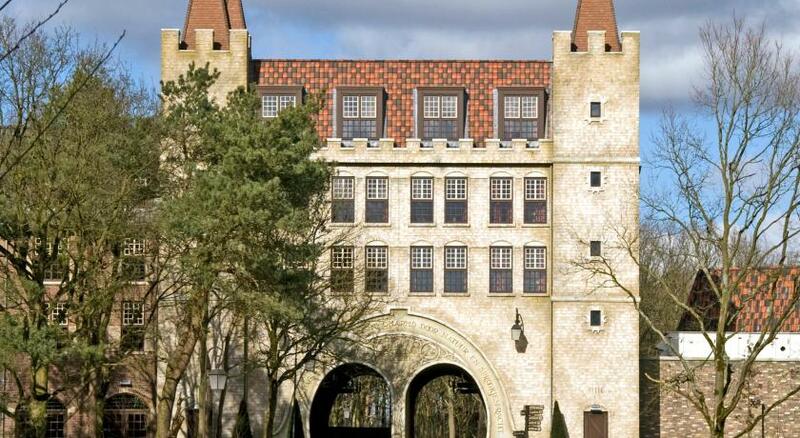 Just a ten minute walk from Efteling! As they say, "location location location" ... a children-friendly hotel within walking distance of the Efteling, what can I ask more? And it helps that they have 5-people family room. An indoors children playroom was a nice touch. The breakfast was adequate. The room smelled nice. I liked the thoughtfullness of putting a portable air conditioner in the room, to combat the heat wave. Given an opportunity, I will gladly return. It was a nice reasonable place for a one night stay. Everything you needed was provided even a portable AC. 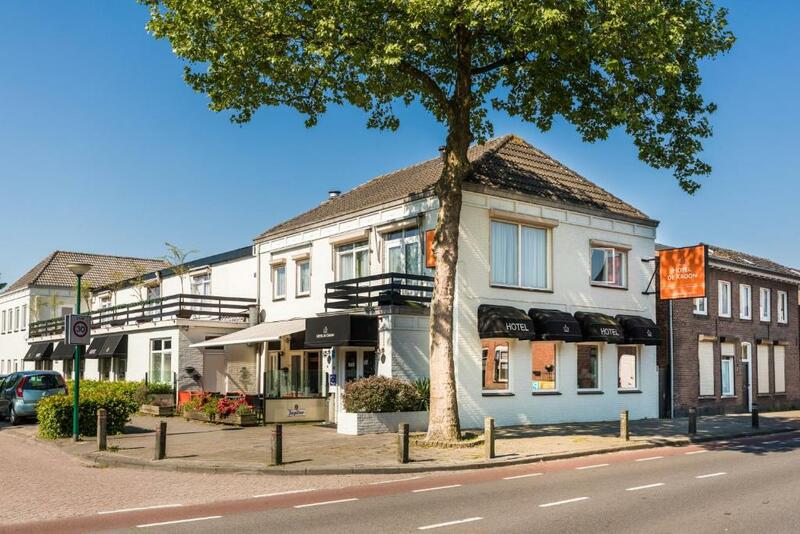 Minutes walk to the Efteling, close to 2 restaurants and supermarket. The room is clean and the staff is nice. Rooms very clean with modern amenities - except for a tiny television set in an inconvenient location. I loved the family spirit that you have there. There was a playground that you don't have in the other places. The staff is extremly nice and welcomes kids, even if they're noisy...The location is very good - very close to Efteling - 5 minutes walk. Breakfast was great and the children can play next to you since the breakfast hall is divided to tables and playing area for kids. There is a free tea and coffee machine in the lobby. Parking is free and very close to the hotel with no issue finding a parking place. There is a big supermarket adjacent to the hotel. The area is very quiet, not busy and nice. WiFi reception was very good and easy to connect. At only 5 minutes' walk from the Efteling theme park, Hotel de Kroon offers an ideal base for families. Sit out on the terrace when weather is sunny and park your car nearby for free. The spacious and modern rooms have black-out curtains and shutters for a good nights rest. Start the day with a breakfast buffet. The bar area offers drinks and coffee after a busy day. The special amusement area for children makes sure you can recover from the day while the kids are busy playing. 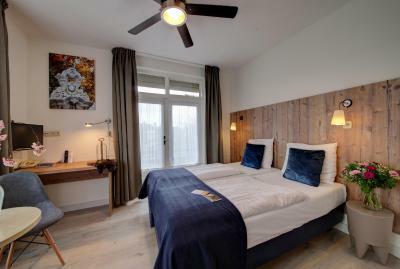 Hotel de Kroon is located near the Beekse Bergen zoo. If you want to discover the area, you can explore the beautiful natural surroundings by bike or on foot. 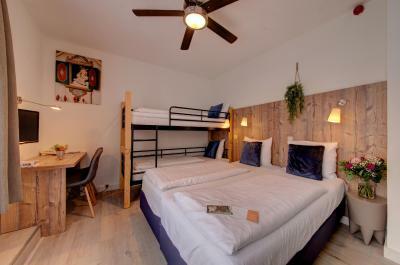 The double rooms (15m2) are equipped with a shower, toilet, television set and telephone. Room rates are per night and include breakfast buffet. The spacious family rooms are suitable for 4 guests. The rooms are equipped with a shower, toilet, television set and telephone. 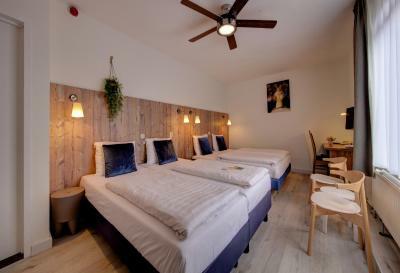 The small double room is suitable for single use or for couples. The room is especially suitable for a short stay. The single room is equipped with shower, toilet, television set and telephone. 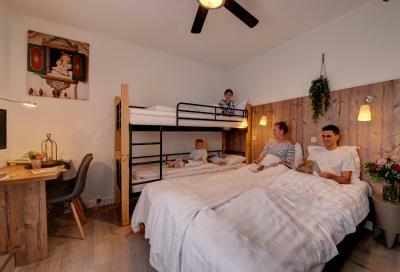 The spacious family rooms are suitable for 4 or 5 guests. The rooms are equipped with shower, WC, television set and telephone. Hi, children are really welcome there, nice organization of breakfast. Parents finish eating and kids can play. Hotel had many families with children, but it was not disturbing. The atad is very very Nice people! The room had a bad smell. 5 min walk from efteling, great breakfast. The staff was very nice. It only takes 5 minutes to get to the park from the hotel! They have pizza room delivery, which was awesome after a rainy cold day outside! The toys in play area were bit broken but still great place for my five yrs old grandson. Free coffee machine was excellent. Breakfast was OK, could have been bit more organized as in more space. The room was sufficient and clean. No complaints. Definitely not a romantic place but great for families with kids. Thanks. The room is very small and there is no closet. Our room wasn't cleaned up the next day. We had to go complain to the staffs. We had baby food with us but no refrigerator in the rooms. The breakfast is limited, u don't have variety. The playing ground for kids is good idea.